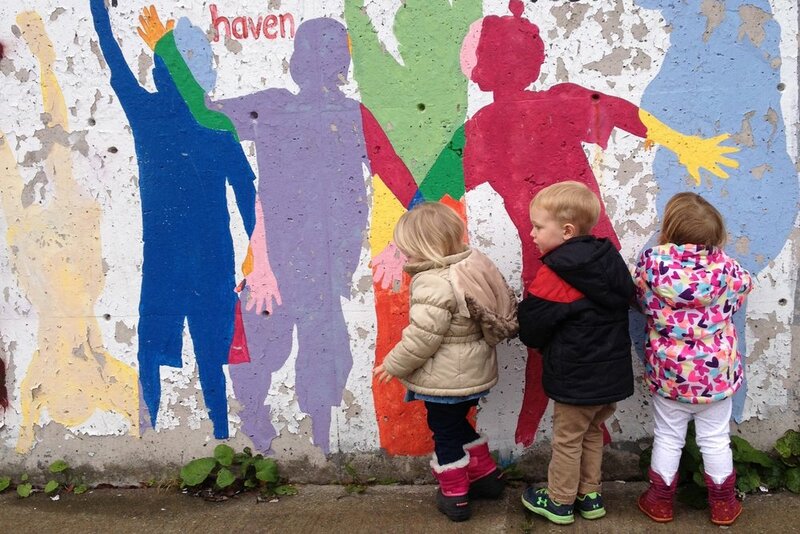 High quality early learning and care in the heart of Halifax. This is a place to create, to explore, to wonder, to ask questions, to seek answers, to grow, to learn, to laugh, to cry, to experiment, to get messy, to sing, to shout, to problem solve, to take risks and to spend their days. A Tiny Lab supports our children, families and our community. We respect all children and the value that they bring to our program. We provide a developmentally appropriate program that fosters the ideas and experiences of the children. A Tiny Lab is a play-based, emergent learning child care centre. Children spend their days here making choices, exploring, discovering and creating. Through play, children learn about themselves and the world around them. Our classrooms provide opportunities for art and creative play, sensory play, building and construction, science, music, and dramatic play. We play outside, explore the city, and build with natural materials and loose parts. The heart of A Tiny Lab. Our vegetarian menu reflects a conscious effort to provide the best food, using healthy, whole, local, seasonal and organic foods whenever possible. Snacks and lunch are served family style, with children being exposed to a variety of foods, tastes and textures. A Tiny Lab is only able to offer a rich program and experience because of our strong, experienced, and diverse team of teachers and support staff. They have varied backgrounds, but share a high level of commitment to the children and their families.